I watched ETC, The Insider and other cable channel yesterday as they reviewed the details of the wedding. The elegant wedding gown, videos not covered live by the media, the smiling Prince Harry and his ex South African–born Chelsy Davy, the best and worst dressed lists, invited guests and other details in figure were being featured. I haven't gotten over yet with the royal wedding. I watched the coverage over and over again aside from reading news online. I missed only few of them. I love all the funny sides and the not so important videos that caught my attention but what I love most was the moment while Kate Middleton (now Duchess of Cambridge) walked slowly down the aisle and Prince Harry look backward and whispered these words to Prince William.. "wait tell you see her." As Kate met Prince William at the altar, even the no lip reading experts could tell in the video what the Prince whispered, "you look beautiful." Social media tweeted that Prince William actually said, "You look stunning babe. " Anyways, that was sweet. Mix of royal dignitaries, celebrities, and other head of the states came to support the family to witness the Wedding of the Century. 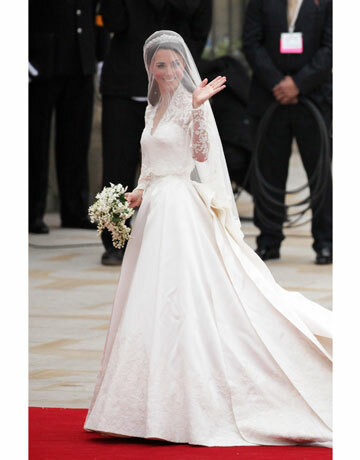 Ladies came in their formal wear with their statement hats, in their best style, (except for a few who seemed to be in their bad hair day) and gowns but nobody wore better than Princess Kate. The road filled with banners and balloons by the crowd. Princess Kate wears a very elegant Sarah Burton wedding gown. hello nuts, followed you already.